Day out to Tongeren to visit the Gallo Romeins Museum and the special exhibition, Sagalassos, City of Dreams. The museum is great and definitely worth a visit. Inside it wasn’t easy to take pictures though, with the low lighting, and outside it was grey, miserable and wet, but I’ll always have a go if I’ve got a camera in my hand! 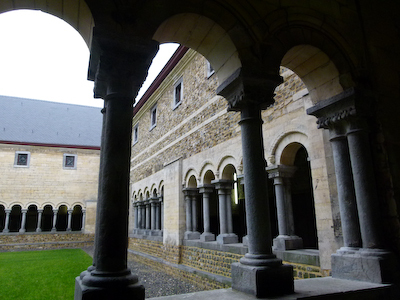 This entry was posted in Blog and tagged Art, Belgium, Travel. Bookmark the permalink.